The ideas, concepts and themes around big data have matured over the past couple of years from a vague buzzword to a must-know topic for management. It seems like everyone now is required to provide their own opinion, view or strategy on big data, regardless of whether big data is relevant to their business goals, or whether they actually understand it. There is no denying big data has become mainstream, or that it is now a ‘big deal’. What is perhaps most important is how it can generate value for specific markets and businesses – especially in the mid-market where business may be caught in between considering large scale IT operations, undergoing rapid change and deciding on strategic investments in IT to support growth and transformation. 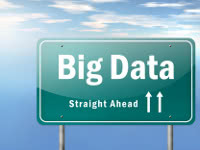 In 2013, what is big data for big companies, and what does it mean to the mid-market? In the book, “Big Data: A Revolution That Will Transform How We Live, Work and Think,” authors Viktor Mayer-Schönberger and Kenneth Cukier note the future of big data will mean people will have to work with “messy” data rather than clean, sequenced and narrow figures most have been used to. The authors argue that people will have more information, but it may not be in the same clean spreadsheets we have come accustomed to interpreting. I tend to agree with the above sentiment. While technology is critical in capturing these masses of data, they are useless without having access to the right tools to decipher and detect real business insights. Whether you are NASA generating big data, or a mid-market enterprise looking at Small(er) Data – without the right tools, making sense of your mountain (or mole hill) of data can quickly become an impossible goal without the business intelligence to back up the collection. What separates NASA technicians from most of us is that we’re not traditional scientists, we haven’t earned a math or physics degree, nor do we require the same level of technical ability to interpret our data. We do however need to understand how and where the value of data resides in order to improve our bottom line. You don’t have to be a Data Scientist to take charge of understanding the data insights in your business, although the term Data Scientist was recently dubbed by the Harvard Business Review as “the sexiest job of the 21st century”! Great news for us people in the data game but what does that exactly mean? It means it’s in vogue and trendy – not always something that goes with the realities of day-to-day business in the mid-market. A global survey by The Economist Intelligence Unit indicated that many organizations were trying to foster a data-driven culture. Research found that the level of success with data is directly impacted by the amount of people getting their hands on data – the greater number of people with access to data, the better the results. In our experience, access to data is always a great way to help a team – management and employees – understand their operations. In 2013, we’re certainly seeing greater levels of staff becoming better equipped to understand data. What’s most exciting is that everyone seems to be interested in data and the benefits it can bring a business unit. Access to data is faster and spans from senior management to junior staff – anyone can provide value through easy access to data. At a very basic level, empowering employees with a deeper understanding for their role (through the lenses of quality data) is what makes for a good data strategy at a very basic level. Beyond access to data, businesses do need to look at how their data interpretation strategy works across levels of staff and management. Herein lies another question: What happens to the role of the subject-matter expert when they are confronted with data that challenges their traditional understanding for business logic? A Wired opinion piece talks of the demise of the expert and intuition in the wake of big data. It is predicted that while specialists and experts won’t die out, their authority will ebb with an overhaul of objective stats when juxtaposed with subjective ‘logical’ perspectives. In my opinion, the role of the subject matter expert will not diminish, but change. The position will restructure by taking intangible factors into account – such as, people, emotions and readiness – that data can’t capture easily. While the level of data most mid-market businesses produce often doesn’t equate to big data, it doesn’t mean the management of this information is any less important. Learn the tools and technology behind business intelligence, foster a data-driven culture within your business, and you have the perfect recipe for data success. 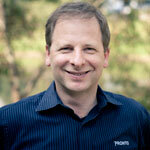 Want to read more insider-perspective posts on big data? Browse our entire archive of content on business intelligence and analytics best practices by visiting the Industry Insights section of the Business-Software.com blog.